So Multicultural Kid Blogs has a new series 10 Fun Facts About.... I wrote one the other night for Native American Heritage Month (it goes live on November 6th). It got me thinking about different subjects that would be fun to do. I decided with Halloween next week, I would do one on the Salem Witch Trials. Salem, Massachusetts is crazy for the entire month of October. On weekends it is impossible to get in or out of Salem. People are there all month long in costumes. 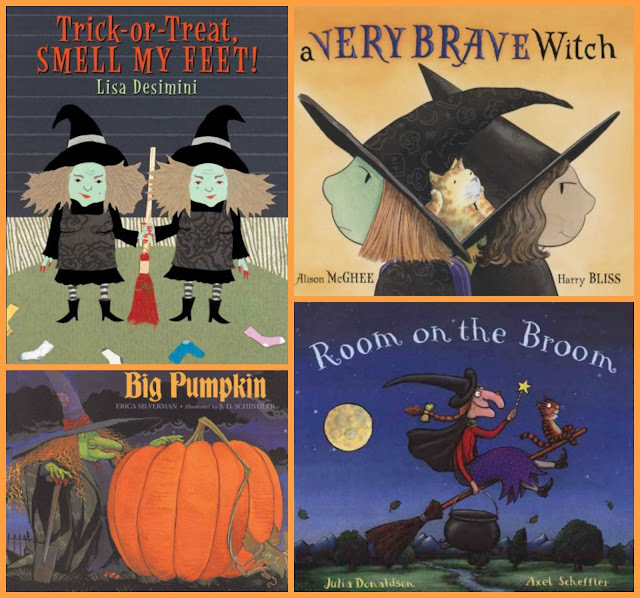 They have a Witch Museum; a street called Witch Way; an elementary school called Witchcraft Heights Elementary School; and the high school mascot is Salem Witches. After all Salem calls itself The Witch City. Even the police cars have a witch on them. 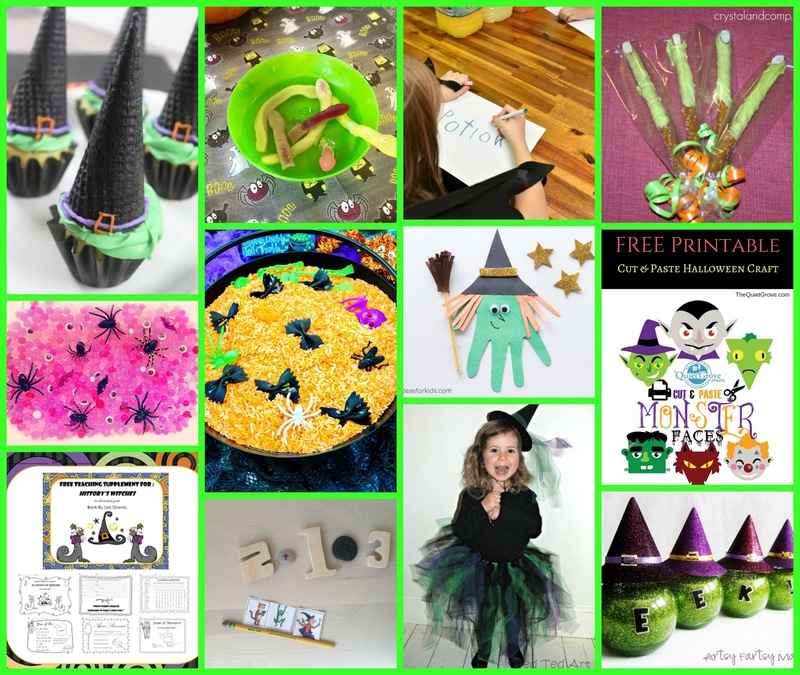 You can read about one of our visits to Witch City. 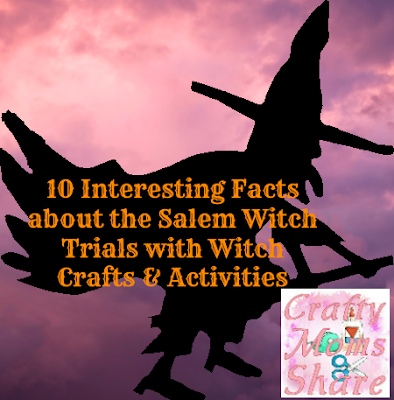 Before we get into the interesting facts about Salem and the Witch Trials, let's do a brief history of the Salem Witch Trials. In January 1692 Salem Village was dealing with a lot. King William's War (war in the America colonies against the French) ended with many people having to be relocated so there were many strangers moving into town. There had been a smallpox epidemic. The Native Americans were beginning to attack after having members kidnapped into slavery by the Europeans. And then there was the continuous rivalry with wealthier Salem Town. However in January, Elizabeth (Betty) Parris and her cousin Abigail Williams began having fits with violent contortions and uncontrollable screaming outbursts. The local doctor examined the girls and finding nothing physically wrong diagnosed them as bewitched. It was common in this time period for people to believe that the devil would give people special powers to do evil things to other people. Soon five more girls began having this strange behavior. The girls in a time of calm claimed that the Parris family's slave, Tituba had bewitched them. They also said that a homeless, pregnant beggar named Sarah Good and a poor, elderly woman named Sarah Osborn were also witches. The people of Salem Village and really Massachusetts were scared. The new governor demanded a trial. 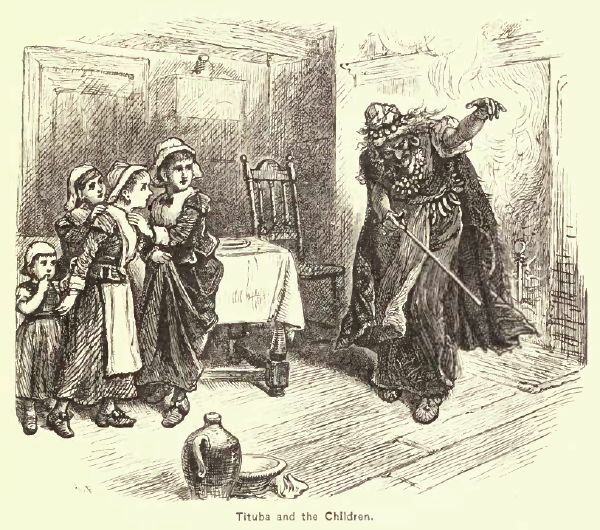 Tituba claimed she was a witch and that there were other witches who were trying to destroy the Puritans. Now people were really scared. Over the next several months around 150 people were accused of being witches. They were men, women and children. Nineteen women were hung. More died in jail and one man was pressed to death with stones because he refused to enter a plea at his arraignment. 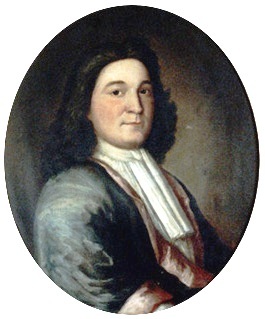 On October 29th, Governor William Phips dissolved the special court and replaced it with a Superior Court of Judicature. This new court would not allow spectral evidence. By May 1693 Phips pardoned all who were in prison accused of witchcraft. Salem Village changed its name to Danvers in 1752 when it became a separate district from Salem. Current day Salem was Salem Town. One of my resources said the name change to Danvers was to not be known as the location of the witch trials. The name Salem is the Hellenized version of the Hebrew word, "Shalom" which means peace. Tituba was most likely an indigenous woman from South America who was kidnapped and sold into slavery in Barbados and eventually brought to Massachusetts. She often told tales from Barbados and the magic there to the children. Abigail Williams was orphaned and lived in her uncle's household with Betty Parris. The other girls who displayed the bizarre behavior and made the accusations were Ann Putnam, Jr. (age 12), Mercy Lewis (age 19), Mary Walcott (age 16), Elizabeth Hubbard (age 17), and Mary Warren (age 20). Elizabeth and Mercy were orphans. Mary Walcott lost her mother when she was 8. Mary Warren, Elizabeth, and Mercy were maidservants. Betty and Ann were daughters of landowners. The first woman hung was Bridget Bishop. She was convicted on June 2 and died eight days later. The place she was hung became known as Gallows Hill. Five more were hung in July and another five in August. Eight were hung in September. Reverend Cotton Mather sent a letter to the court stating that spectral evidence should not be allowed. His requests were ignored. His son, Increase Mather, the president of Harvard, denounced the use of spectral evidence. Governor Phips listened to this request after his own wife was being questioned. In May 1693 Governor Phips pardoned all the accused in prison. However they had to remain in prison until their families paid all of their jail costs. Reverend Parris sold Tituba to pay for her jail fees. On January 14, 1697, the General Court ordered a day of fasting and soul-searching for the tragedy in Salem. In 1702 the court declared the trials unlawful. In 1711 the colony passed a bill restoring the rights and good names of the accused and granted £600 restitution to their heirs. In 1957 Massachusetts formally apologized for the events of 1692. In 1992 the Massachusetts House of Representatives passed a resolution formally acknowledging the innocence of the accused. Salem is the official birthplace of the National Guard, Nathaniel Bowditch, and Nathaniel Hawthorne. It also is where the House of the Seven Gables is. There are several theories as to the truth behind the Salem witch hysteria. In 1976 Science (Magazine) published an article by psychologist Linnda Caporael which blamed the abnormal behaviors on the fungus ergot. Ergot can cause delusions, muscle spasms, hallucinations, and vomiting. It can be found in rye, wheat and other cereal grasses. Rye was a staple grain in Salem Village. 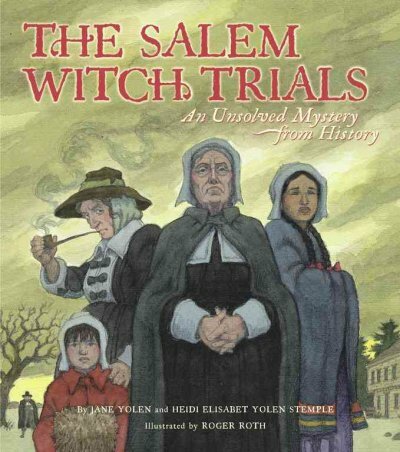 Now to share a bit of the story with kids, I found a great book at the library: The Salem Witch Trials: An Unsolved Mystery from history by Jane Yolen and Heidi Elisabet Yolen Stemple and illustrated by Roger Roth. It is one of our sources for this post. Now Hazel has always been a bit afraid of witches, however there are a few Halloween witch books we have loved. 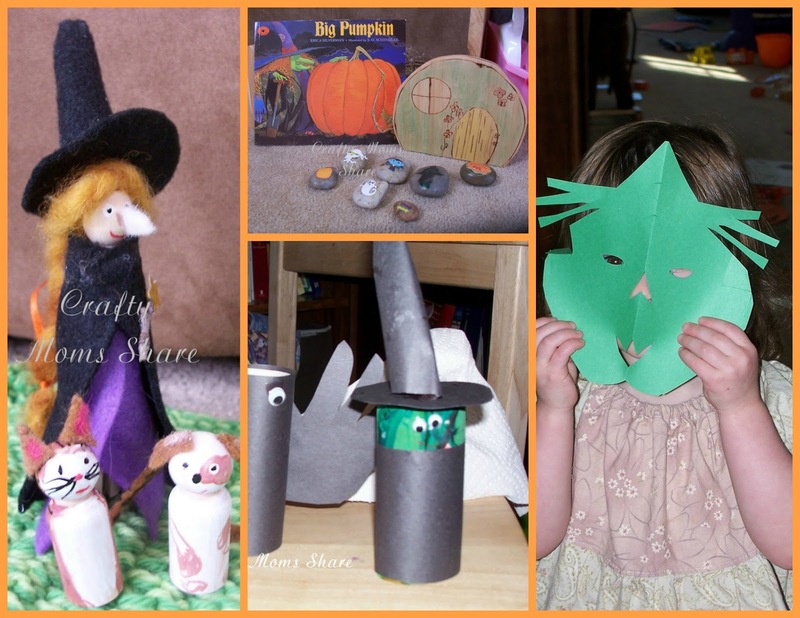 We have also done a few witch crafts over the years however most of them go with the books. Yolen, Jane. and Yolen Stemple, Heidi Elisabet. The Salem Witch Trials. New York. Simon & Schuster 2004.